February 2015 - Courreges named to "Top 20 Rising Stars in the Lobby" list by Texas Insider. 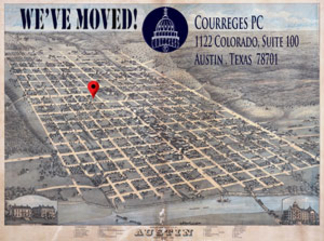 October 2014 - We are proud to announce that Courreges PC has been named a finalist in the Austin Young Chamber Association's FAVE Awards in the Professional Services Category. Thank you to our fantastic clients and friends who nominated us!